We’re delighted to have Brandon Kelly from the States as our guest blogger this month. Brandon is part of the Accessible Prophecy US team. As an apostle, my admiration and appreciation of prophets and prophecy has grown significantly over the past couple of years. I’ve had the amazing opportunity to experience a prophetic huddle and have spent a great deal of time with prophets, both of which have developed my understanding and experience of prophecy for my own life. There’s one thing, though, that continues to stand out in most interactions that I have with prophets – they spend too much time listening and not enough time doing. Now to be fair, apostles spend too much time doing and very little time listening. Once during a prophetic huddle, I was sharing how I always immediately respond to what I think God is saying and was considering giving myself a twenty four hour wait time before I acted on anything. Bursting with pride, I thought that I would be an example to the prophets in my huddle of what it looks like to be patient and wait on God. 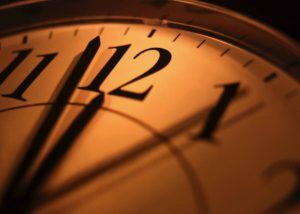 After everyone stopped laughing, I realized twenty four hours is nothing to a prophet. I was challenged to consider a week or maybe more to fully engage with the voice of God and hear clearly what he is saying before I do anything. This is why apostles and prophets work so well together. Prophets keep apostles on track with what God has spoken, helping them to hear clearly and deeply. Apostles keep prophets moving forward, helping them to take action. When both are represented there’s an equilibrium of listening and doing in the life of the church. What can a prophet learn from an apostle to help them take action on what God has said? What’s one way that you can respond to what God is saying in the next two weeks? Usually, there’s never any lack of inspiration for large and lofty plans for us to accomplish when we’ve heard from God. The dreaming of what God can do in us and through us can be significant, especially for more profound and memorable prophetic words. However, if we can’t identify the next action step that’s needed to move us on the journey to God’s words, the likelihood is that we’ll never do anything about it. Asking what someone can do in the next two weeks presses them to the next practical step that can be done. If it can’t be done within two weeks, there’s probably a smaller step that could be taken to move them in the right direction. 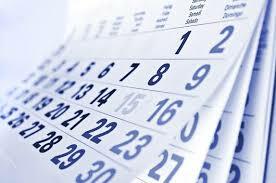 I like the two week timeframe because it allows enough space for unforeseen issues that come up, but is short enough that the action and word remains fresh in your heart and mind. 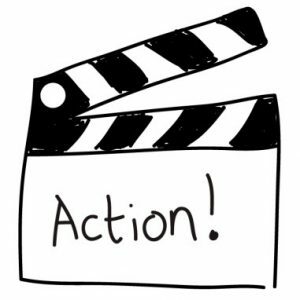 Once the next action step has been identified, it’s helpful to get specific about when the action will take place. If you leave out the specifics now, it’s unlikely they’ll get clearer as time passes on. You need a plan for when your response to God’s word will take place. What day will it be? What time will it be? Even categories of time – in the morning… at lunch… – aren’t specific enough. Will you do it before breakfast or right after you wake up? The amount of clarity that you have about your plan now is directly related to the likelihood of follow through later. When the plan is in place for what you’ll do and when you’ll do it, you need to figure out who can hold you accountable. This isn’t someone who will guilt and shame you for failing to do what you’re supposed to do, but someone to support and encourage you to do the things you’ve said you will do. It could be someone in your huddle, a friend, a spouse, or anyone that you trust will actually follow up with you. It doesn’t do you any good to be held accountable by someone who won’t hold you accountable. It also doesn’t do you any good to lie about what you’ve accomplished, it misses the point of accountability. Be honest and admit when you’ve fallen short. The person holding you accountable should respond with grace and offer support for making your action step happen. What can you do right now to ensure that it will happen? There are often small things that can be done right away to help ensure that the action step gets accomplished. These are usually simple and quick items such as: emailing or calling the person who’s going to hold you accountable, placing the action step on your calendar, writing yourself a note, or setting up a reminder on your phone. If you can do one of these now, you can set yourself up for success later on. What roadblocks would stop you from doing it? We can’t always foresee the road ahead, but sometimes we can anticipate roadblocks before we run into them. If we can identify roadblocks now, we may be able to adjust the plans we’re making or add some steps along the way that will overcome them before they become an issue. Roadblocks could include: not having the right resources (think time, materials, and knowledge), someone who may be adverse to what you’re trying to do, personal fears, spiritual warfare, etc. Listening to God is vital to the life of a disciple, but equally important is responding to what He says. As we consider taking action, we can set ourselves up for success by putting some additional thought and intentionality into our planning. What have you found to be helpful in moving from listening to doing? What other questions might you ask to bring greater clarity to plans and actions?